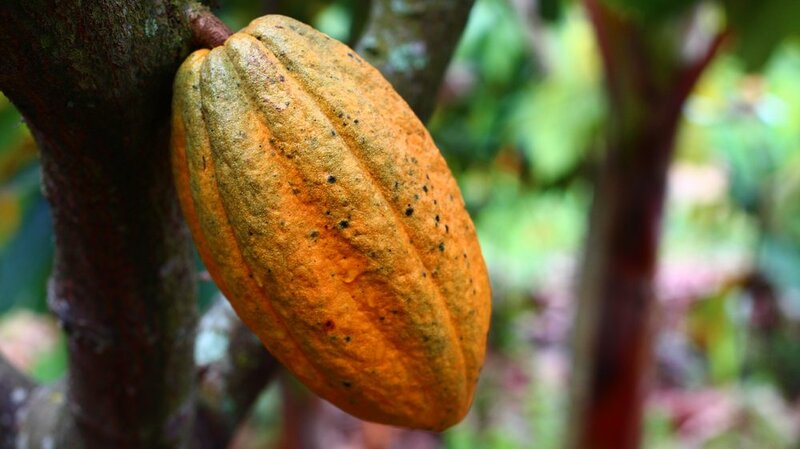 Is committed to using the principles of permaculture farming and integrated food forest practices to produce high quality cacao while protecting wildlife resources, soil condition, and ecosystem function. Farm managers are trained and certified in the principles of permaculture farming. Our dedicated orchard caretakers have grown up with a working history of native cacao and bring a local, pragmatic voice to the process cacao farming. Our farming practices include recycling native, nitrogen fixing plant material into the root zone of the cacao trees, inoculating soil with beneficial microorganisms, using integrated pest control practices, controlling soil erosion with terracing techniques, and incorporating livestock for weed management. Costa Rica, even though tropical, experiences a dry season. We use rainwater harvest, storage and irrigation systems to cushion the impacts of dry conditions on our trees. We also work closely with Costa Rica’s governmental bodies of CATIE (Central Agronomico Tropical de Investigacion y Ensenanza) and MAG (Ministerio de Agricultura y Ganaderia) to incorporate the latest knowledge in cacao propagation, cultivation, harvest and marketing. We are developing productive networks with other progressive cacao farmers to improve our farming practices and flavor development.